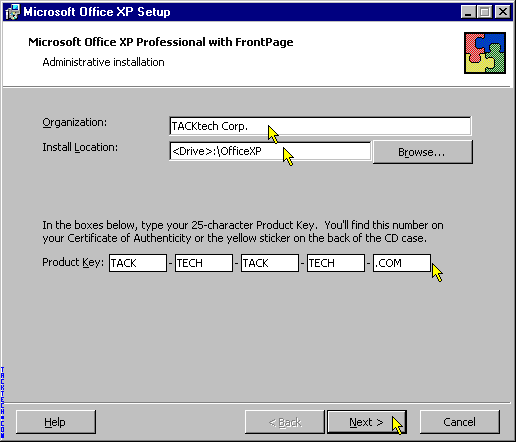 Slipstreaming Office XP Enterprise SP3 (Office XP) - TACKtech Corp.
First you will need to download OfficeXpSp3-kb832671-fullfile-enu.exe from Microsoft. It can be downloaded from Microsoft Knowledge Base Article - 832671. 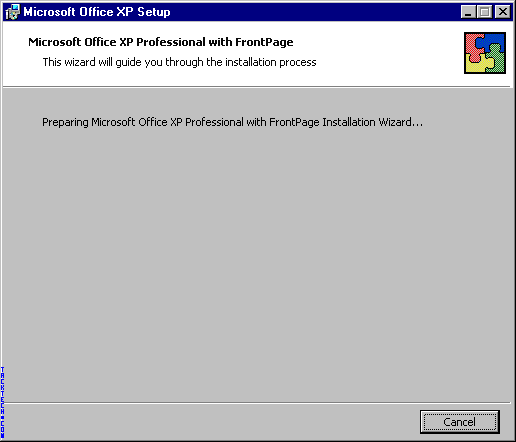 To determine if you have the Enterprise Edition of Office XP see article TTID#194. 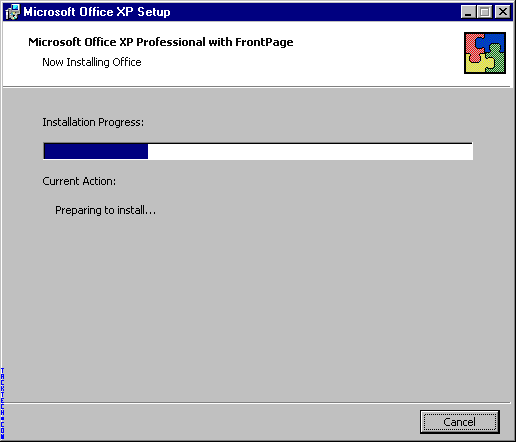 It may pause here for a minute while working on install. 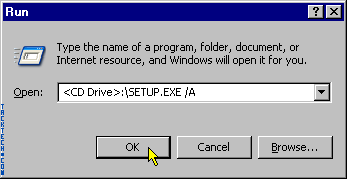 Enter Organization, Install Directory, and Product Key. Note: Install Directory is where to store files until you burn them. 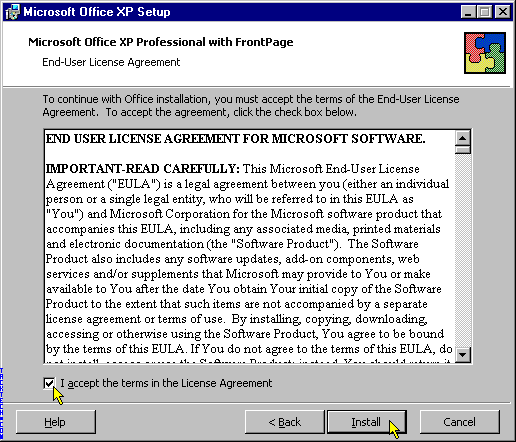 Agree to End User License. Extract the Service Pack Files. Now you need to run two commands from Start | Run or Command Prompt. These two commands will end with no finished dialog they will just stop. 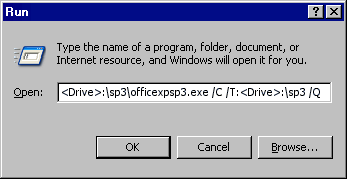 Process almost complete just burn the contents of <Drive>:\OfficeXP to a CD.